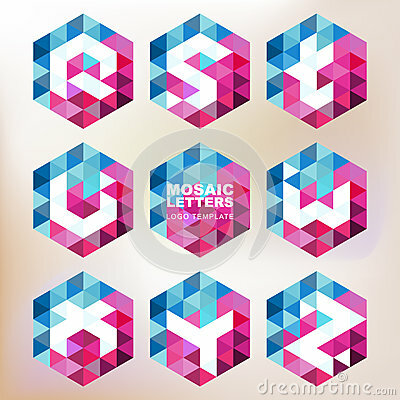 Set of mosaic letter icons. Geometric logo design template. Corporate style, business technology abstract symbol.